“Your shoes spend hours in the hands of a skilled cobbler, pursuing proprietary hand-finishing techniques that ensure our distressed leathers not only vary between styles, but between pairs within the same style. 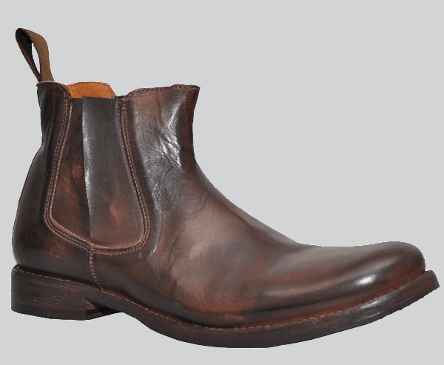 Your pair will be like no other on the planet.” We’re pleased to be carrying Bedstu in Staccato this fall. • Lemon wood pegs on sole expand and contract at the same rate as the leather. 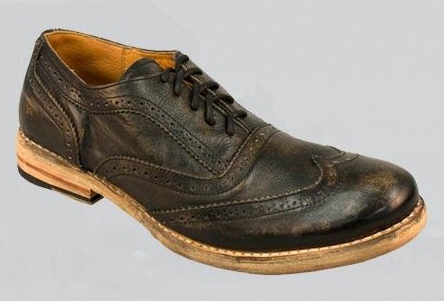 Drawing inspiration from the Italian Province of Milan, this vintage wingtip oxford with eye-catching texture wraps old world style in a modern look.